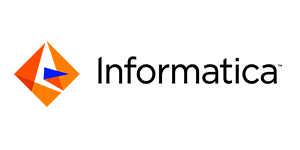 Informatica is a leading supplier of data integration software. Informatica’s platform enables data integration, migration, management and archiving of data within systems and processes aimed at guaranteeing the authenticity of data and capitalising on bigger opportunities for business development. Global Consulting has been an authorized distributor of Informatica for the Bulgarian market for over 10 years. We offer Informatica’s solutions as well as implementation, education and support services for Informatica’s PowerCenter, Data Quality and Data Archive product families. Omikron was established in 1983 and since then the company has been a leader in delivering e-banking solutions on a worldwide scale. Their products have been used for more than 30 years across 20 countries in 17 languages. More than 200 national and international standards have already been integrated within the solutions. Global Consulting’s technological expertise along with our long lasting partnership have been a key factor for the successfully implemented solutions on the Bulgarian market. We provide quality education, support and integration services for the Omikron portfolio. 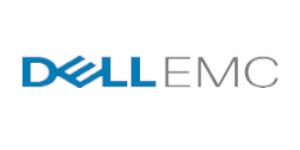 EMC is part of the recent merger now known as DELL EMC. They offer a vast array of technological solutions for storage, management, analysis and security of large volumes of data covering specific security, virtualisation and cloud scenarios. Global Consulting is one of the first EMC distributors on the Bulgarian market. Our partnership has lasted more than 15 years in the area of storage systems for management, virtualisation, archiving and security of data. We offer architecture, installation, implementation and support services for these systems. Microsoft was founded in 1975 and is the largest software developer and service provider in the world of information technology. As a long standing partner of Microsoft we have extensive experience in leveraging Microsoft technologies in the area of database and software development as well as implementing and supporting various other Microsoft solutions. SAS is company specializing in business analysis software as well as the largest independent provider of Business Intelligence solutions. It is a world renowned leader recognized by all the key IT Market analysts such as Gartner, IDC and Forrester Group. Our partnership with SAS was established in 2013 and since then we have jointly worked on a Fraud Detection project aimed at the insurance industry. Cisco Systems is the world’s largest provider of telecommunications and networking hardware. Through our long established partnership with Cisco Systems we offer services related to networking infrastructure and architecture, LAN, WAN and Wi-Fi. Unisys is an American IT Company that solves the complex technological challenges of some of the largest corporations and government organisations. They offer solutions and services in system integration, high end servers, cloud management software and cyber security. Unisys was the first international partner of Global Consulting and together we have had more than 20 years of joint activity on the Bulgarian market. Through our partnership we support an array end customers in the local market by offering reliable communications solutions and services. OpenText is the leader in Enterprise Information Management (EIM). Their EIM products enable businesses to grow faster, lower operational costs, and reduce information governance and security risks by improving business insight, impact and process speed.The OpenText Documentum Platform delivers critical enterprise content management access and control of all your information assets. Captiva delivers process driven capture software platform that converts paper, documents into application ready digital content. Our experience with Documentum platform and Captiva dates back as it has been part of EMC Enterprise Content Management portfolio. In 2017 OpenText acquired these assets from EMC and respectively we extended our partnership with OpenText. © Copyright 1995-2019. Global Consulting. All rights reserved.